When it comes to keeping skin youthful, healthy, and plump, one of the most important steps to include in your beauty routine is a moisturizer. Adding moisture to your skin helps increase its hydration levels, boost its resiliency, and protect it against environmental stressors. As such, with hundreds of brands and variations available, finding the best face moisturizer that is suited for your skin can be difficult. Therefore, we compiled a list of the 10 best face moisturizers to simplify your decision. To be featured on this list the products needed a high number of positive ratings. Also, items are listed in order beginning from the highest priced moisturizer to the lowest. 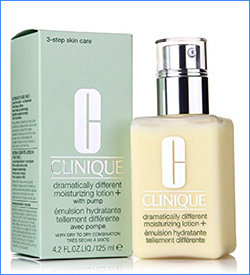 Clinique’s moisturizing lotion has been a cult favorite since it was debuted over a decade ago. Following the massive success of the first version, Clinique released the “+” version that features all the benefits of the original along with twice the hydration. The brand features a nice selection of moisturizers for a wide range of skin types including extra dry skin to oilier skin types. It is allergy tested and fragrance-free but is also the highest priced option on our list. Another disadvantage is its inclusion of petroleum-derived ingredients such as mineral oil and petrolatum. 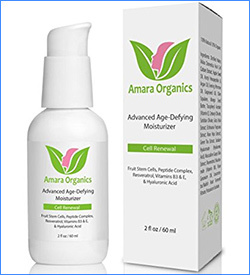 Amara Organics face cream moisturizer boasts 6 powerful anti-aging ingredients that help address texture, tone, and elasticity. It also contains vitamins and antioxidants to help nourish and repair skin on a cellular level. Advantages of this cream include natural and organic ingredients, no dyes, no parabens, and a non-greasy feel. Unfortunately, the formula is on the pricier end compared to other items on our list, also, some users complained their skin had a negative reaction to it. 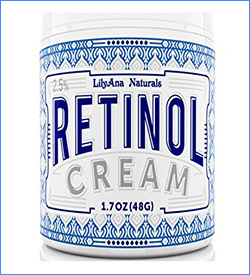 LilyAna Naturals moisturizer contains one of the top proven anti-aging ingredients: retinol. This great addition to our best face moisturizer list fights sun damage, fine lines, and uneven texture. It is packed with high-quality, hydrating ingredients such as green tea, Vitamin E, and shea butter. Also, the formula is lightweight, free of residue, free of artificial fragrance and parabens, and will not clog pores. 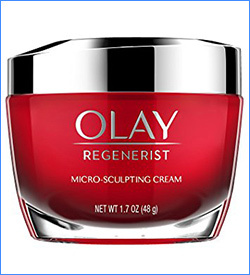 Olay Regenerist facial moisturizer is one of the top-selling moisturizers due to its luxurious texture, fast results, and powerful ingredients. With beneficial ingredients such as niacinamide, hyaluronic acid, carob extract, and peptides, the cream improves elasticity, plumps surface cells, and helps diminish the appearance of wrinkles. The biggest disadvantage of the cream is that it uses parabens and artificial fragrance in the formula. 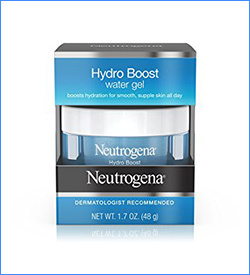 Another excellent option for the best face moisturizer list is Neutrogena’s Hydro Boost Water Gel. Packed with hyaluronic acid and olive extract, the lightweight, oil-free gel absorbs quickly and helps leave skin supple, smooth, and hydrated. However, the formula contains artificial fragrance and dyes. 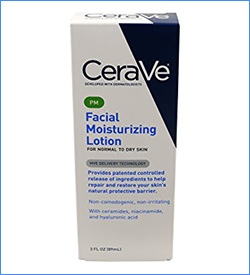 Cerave’s formula is bursting with proven moisturizers such as hyaluronic acid, niacinamide, and ceramides. The formula is lightweight and non-greasy yet extremely hydrating. This moisturizing facial lotion would be practically perfect if not for its inclusion of parabens. 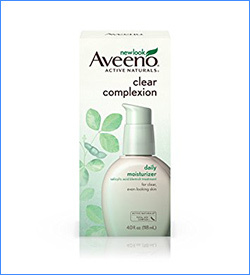 Aveeno Clear Complexion moisturizer helps promote even-toned, clear skin due to powerful ingredients such as salicylic acid and soy complex. Although salicylic acid is a proven acne fighter, it can cause dryness and irritation due to its potency. 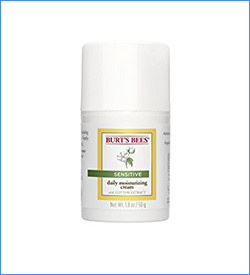 Burt’s Bees face moisturizer for sensitive skin is clinically proven to provide all day hydration minus redness or irritation. This next item on our best face moisturizer list boasts 99% natural ingredients and is fragrance-free. Moreover, the nurturing formula features rice extract, shea butter, sunflower seed oil, aloe, and cotton flower extract. Its main disadvantage is that is may be a bit too heavy for acne prone skin types. 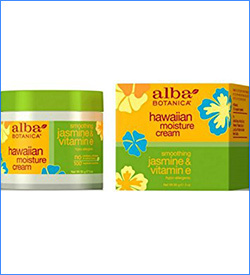 This natural moisture cream from Alba Botanica features Vitamin E, tropical oils, and to help minimize pores and smooth skin. Also, the formula is free of parabens and phthalates. Although the formulation is free of artificial fragrance, some users complain the scent is too strong. 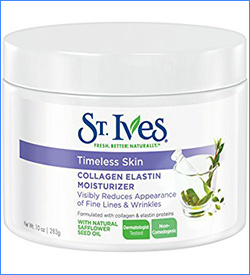 St. Ives’ face moisturizer rounds out the list of the best face moisturizer. This moisturizer – the most affordable on our list – hydrates and smoothes skin thanks to ingredients such as collagen, elastin proteins, and safflower seed oil. Although it provides excellent hydration and is non-comedogenic, it may be too heavy for acne prone skin. All in all, including moisturizer in your skin care routine is an essential part of keeping your skin healthy and preserving its strength. Consider testing out one of the best face moisturizer options mentioned above and see if it makes a difference for you. Do you currently use a moisturizer on your skin? Also, do you have a favorite that you think we should have included? Let us know if you have ever tried any of the options on the list.